1. Geography is not a factor. Gone are the days when living in a certain place prevents you from attending the school of your dreams. Online college provides all the same education possibilities and resources from the comfort of your own home. This is a huge benefit to many students because they don’t have to be uprooted from their environment and be distracted by the difficulties of adjusting to a new place and new people. You’ll also save time and money by not having to relocate. Any college with online courses can become an option to you, no matter where you live. Possibly the most popular reason people choose online college is because of the flexibility. Most people who choose online college are navigating other life responsibilities at the same time, whether they have a family to take care of, a full-time job, a side hustle, or something else that prevents them from traditional daytime classes. Online college offers by far the most flexibility in every aspect of education, including the time of day you take courses, how fast you finish your learning, how you fulfill requirements, and more. Those who choose online college often have a full- or part-time job to travel to and from on a daily basis. Studies show a strong association between commute time and well-being. Forty-five percent of Americans commute, and the average commute time is almost 30 minutes long. If you’re in that group that means you’re already spending an hour of your day commuting to and from work. Don’t add to the time spent away from family, friends, and doing things you really enjoy. Online college allows you to get to work immediately, which will increase your overall happiness levels. Many online colleges allow you to transfer credits from previous schools to put toward online credits. Depending on your situation, you could be finishing your degree in one year or less. Because you’re already cutting down on commuting and other time wasted with brick-and-mortar colleges, you can dedicate more of your precious time to actual learning. Students who choose online college know that time is money, and the sooner they can get a degree, the sooner they can move on to bigger and better things in life. Choosing online college is almost always an economically wise decision. Though not all online colleges may appear less expensive on the surface, once you consider the associated costs of traditional college, the online college option will usually be cheaper. Online colleges typically don’t require as many textbooks, and because you’re doing it from home, you will save on travel and housing costs. 6. Go at your own speed. When you’re taking classes online, you’ll find an enormous amount of flexibility in the pace of your education. If you’re a working adult, you may need to go slowly through your degree requirements to soak up the knowledge, and that’s okay with an online degree. As we’ve mentioned before, many people who choose online college are balancing many other life responsibilities at the same time. Online colleges know their students have many other important matters to attend to, and they strive to accommodate those priorities as much as possible. With online education, you don’t have to give up your full-time job, take time away from your family, or leave home to achieve your career and education goals. 8. Varied levels of interaction. While some students crave in-person interaction, other students who attend online college are happy to do everything solo. Luckily, online college provides options for both. You can meet up with other students in your area to study, fulfill experience requirements locally (which will depend on your degree), or do everything from the comfort of your bedroom. Message boards and online chat are available for those who don’t need the in-person experience. You choose what works best for your personality. The networking opportunities of traditional college are all available to students who choose online college. Students will have the chance to meet people who will help them further their career advancement and generally influence their lives for the better. Many online colleges have placement programs and internships that provide connections students would not otherwise have. Ultimately, online college is about advancing your career in a way that would not otherwise be possible. Students who choose online college are provided with flexibility and accommodations not available to students who attend traditional colleges. 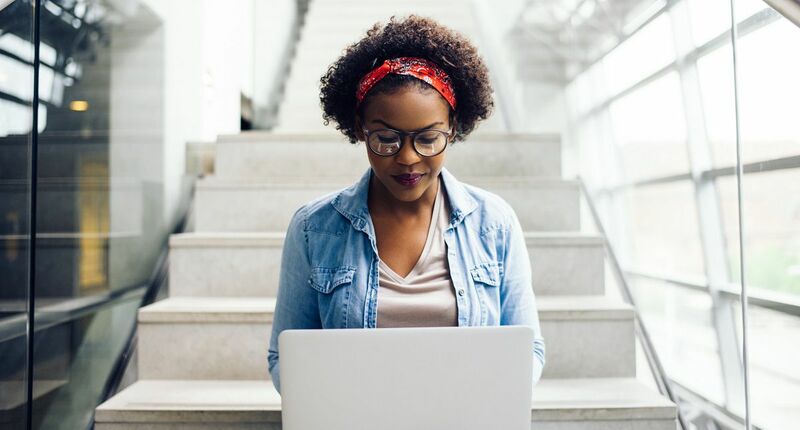 If you’ve been looking for a way to move up in your career while still working, completely change careers, or get an education while caring for a family, online college could be a great fit for you. Independence University is an online college offering hassle-free enrollment that could have you improving your future in as little as 11 days. Request more info about our programs here. Accelerated degree programs are compared to traditional colleges and universities. See https://nces.ed.gov/programs/digest/d14/tables/ The amount of increased earnings varies by field and degree. Source: U.S. Census Bureau https://www.census.gov/prod/-2012pubs/p70-129.pdf (See Table 8).